Lake Merritt hat | arlette knits. Oakland’s Lake Merritt is half urban, half wild: It’s the United States’ first wildlife refuge, right in the center of a busy city. Its birds swim through reflections of office buildings and gnarled oaks. Ringing the lake is a string of iconic fairy lights that throw long, white stripes across the dark surface of the lake at night and mix with the nighttime colors of traffic signals. 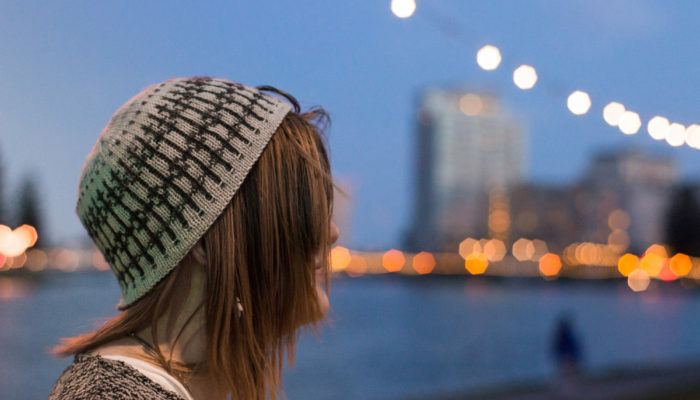 This “Necklace of Lights” inspired the rippling stripes of this hat, knit in yarns from talented dyers. 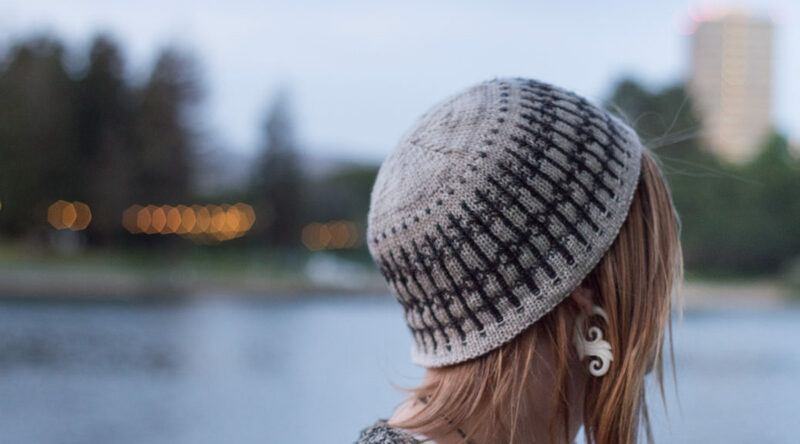 Lake Merritt’s easy, eye-catching colorwork uses under 50 yards of contrast color, perfect for one of those eye-catching mini-skeins that always seem to come home with you from the yarn store. It’s warm for its weight, knit from the bottom up with a partial lining and a double-thickness crown, and with careful finishing it’s fully reversible. The pattern includes a detailed photo tutorial for my “centipede” cast-on, a polished-looking variation on the i-cord cast-on that has tons of stretch but never flips, curls or rolls. 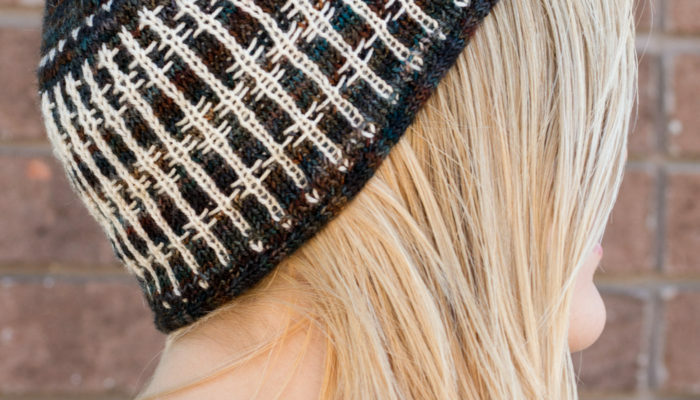 A simple alternate cast-on is given if you just want to dive right into the colorwork. Intermediate knitter or confident beginner. More advanced knitters may want to tackle the custom sideways cast-on. XS | S | M/L | XL to fit a head (16-18″ / 40-45 cm) | (18-20″ / 45-50 cm) | (20-22″ / 50-56cm; fits most adults) | (22-24″ / 56cm-62cm) around. 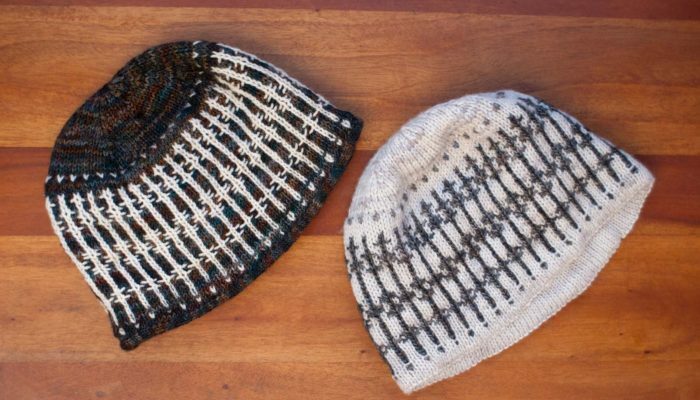 Find links to recommended techniques and tutorials at the Lake Merritt Ravelry page.